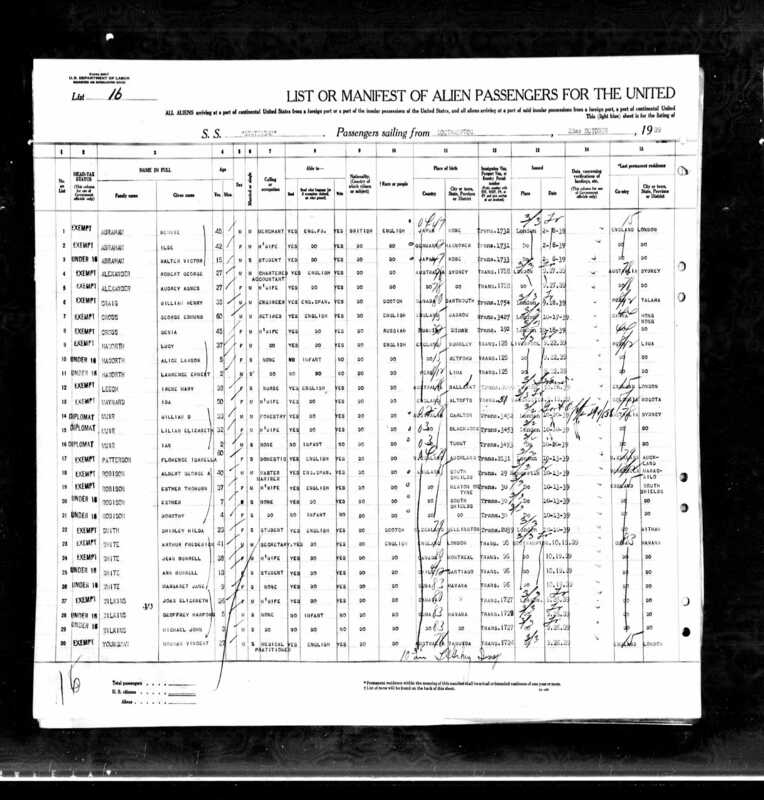 Other Family Data There were no children. Historical The Hebrew date is incorrect. It should be Adar II (אדר ב). She lived at 7A Mirador Mansions on Nathan Road in TST. 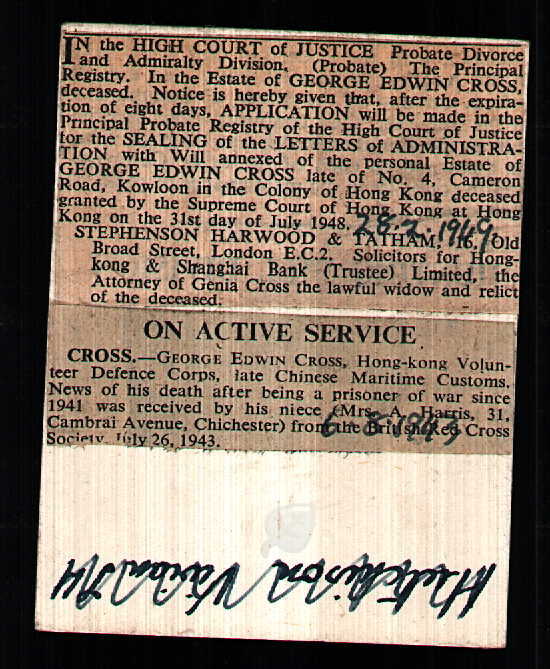 Her probate states that she died at Kowloon Hospital. 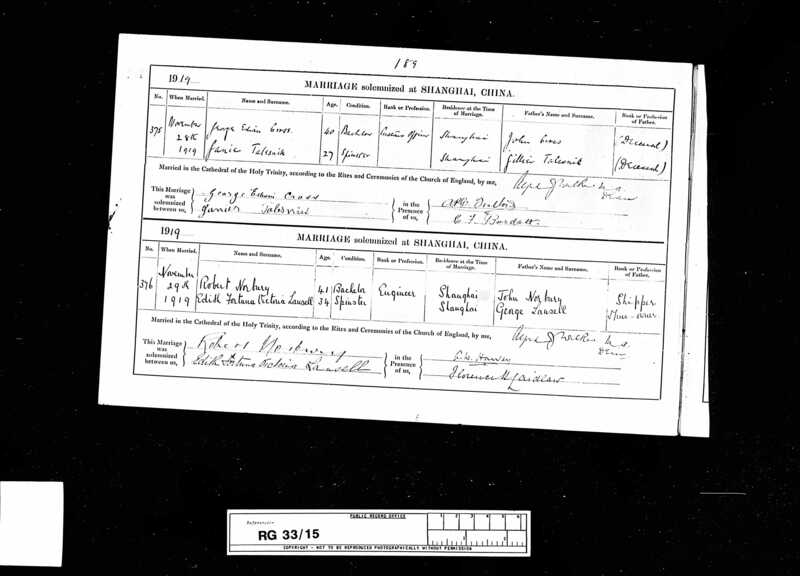 She and George married in the Shanghai Anglican Church on November 28, 1919. George worked in Shanghai as a customs officer. He is recorded as being a member of the Freemasons (Foochow, 1912 and Hankow, 1915) so he and Genia most likely met there. 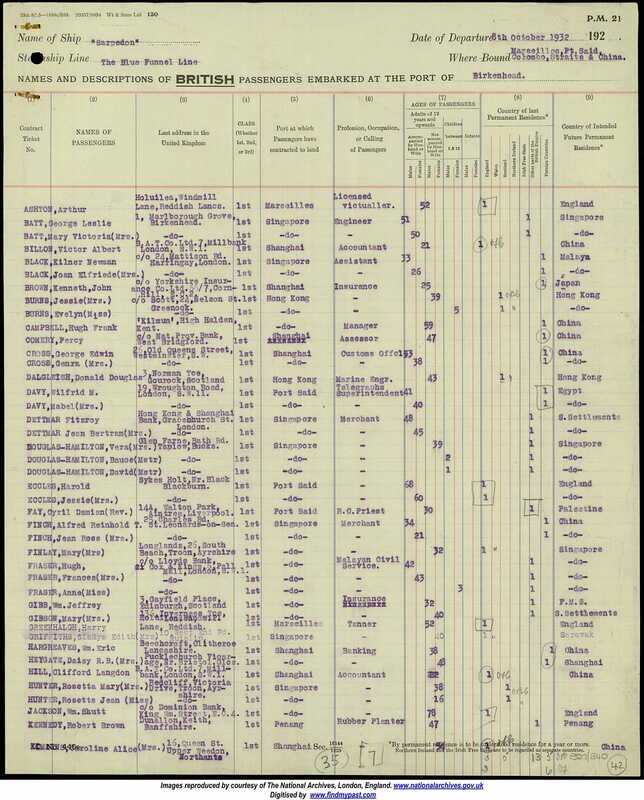 In 1938, he was employed as a harbour master, though it’s unclear where in China they were living. By 1939, George had retired, presumably because he had turned 60 that year. 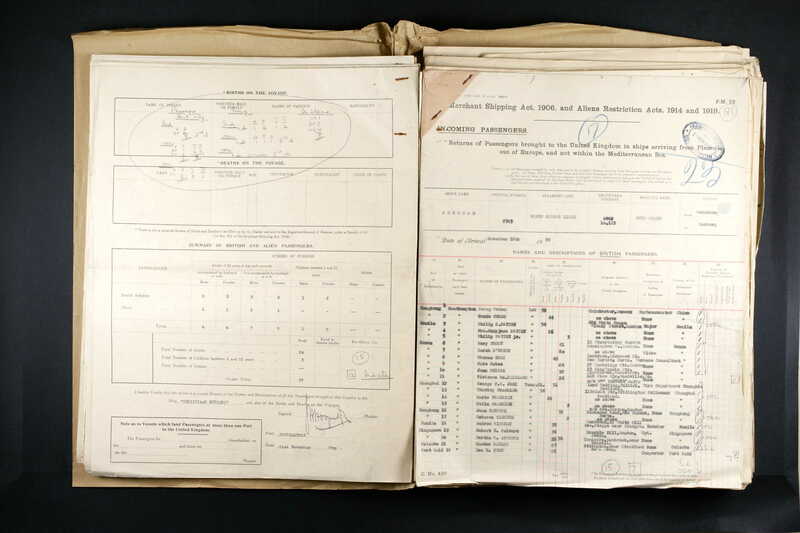 On a 1925 ship’s manifest, their address in the UK is listed at being 164 Ellison Street, Jarrow (which is east of Newcastle). 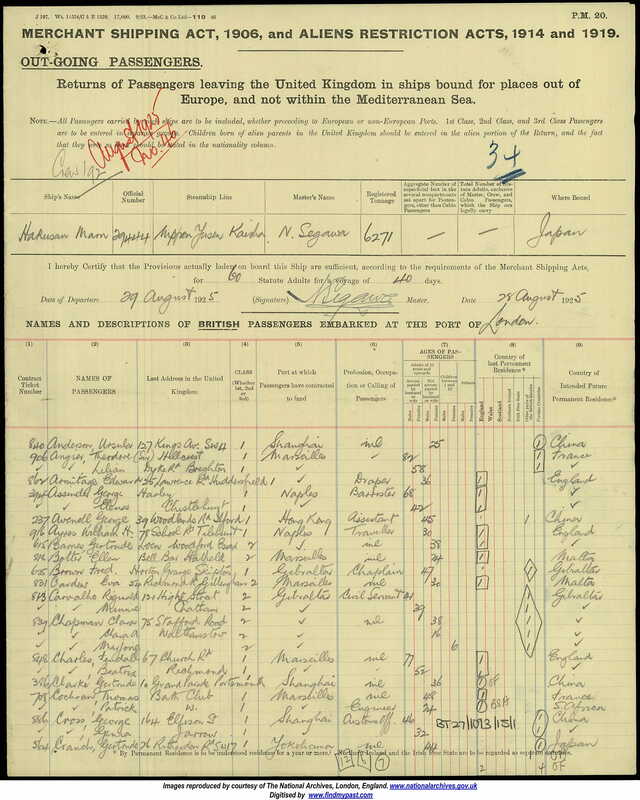 However, on a 1938 manifest, he is listed as coming from Chichester, Sussex. 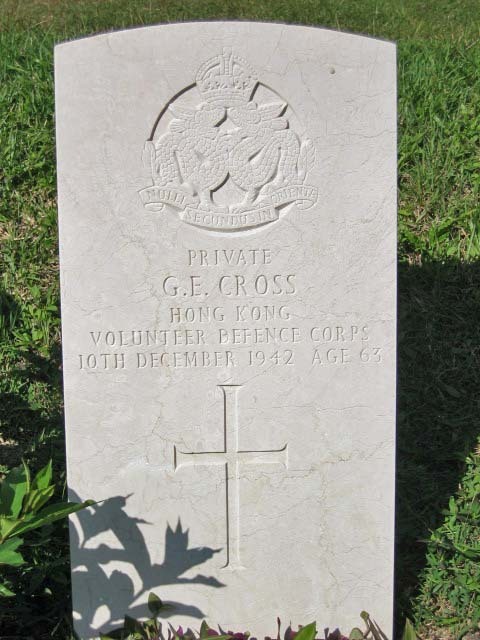 He died on December 10, 1942 while on active service for the HKVDC. He had been a POW since 1941. 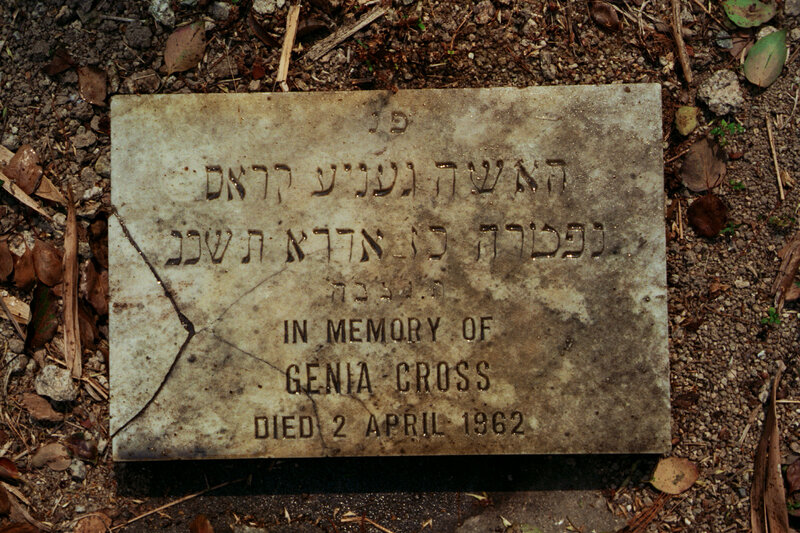 He is buried in the Stanley Military Cemetery, plot 1.A.81. He was 63.